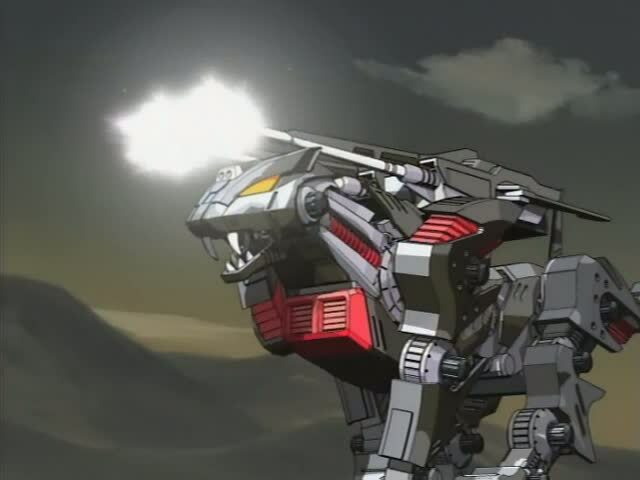 Today’s Spotlight! 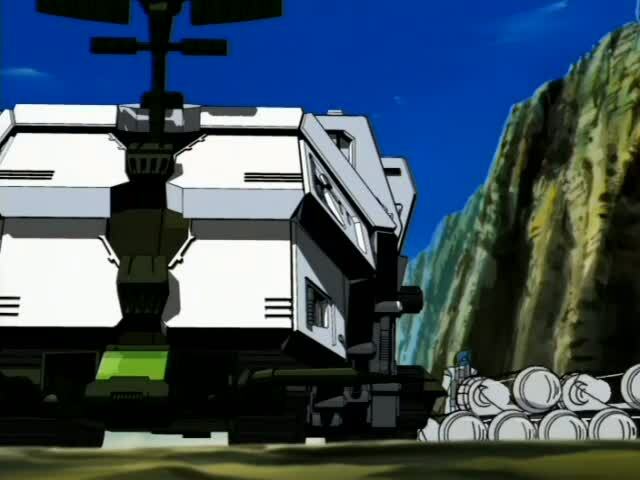 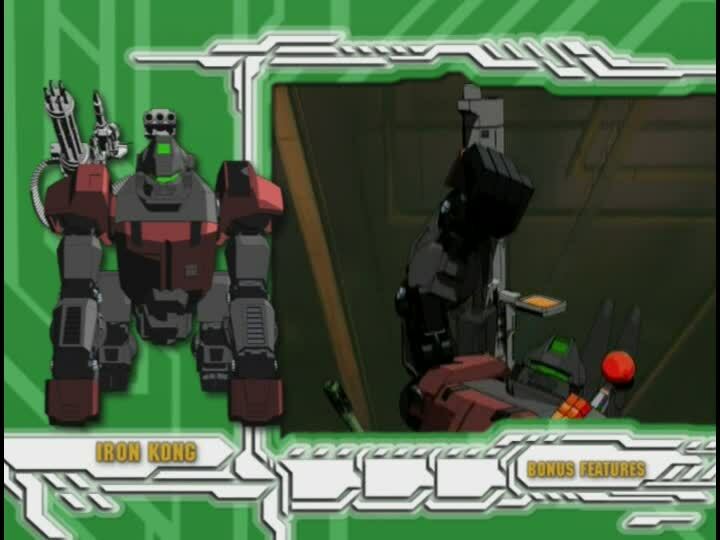 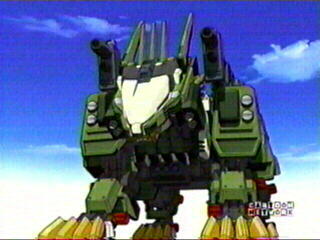 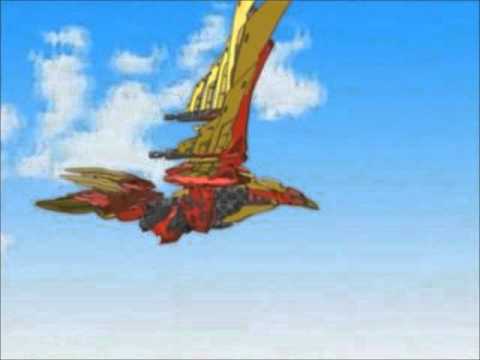 is focused on yet another zoid, but this one is not from the series Zoids: Chaotic Century. 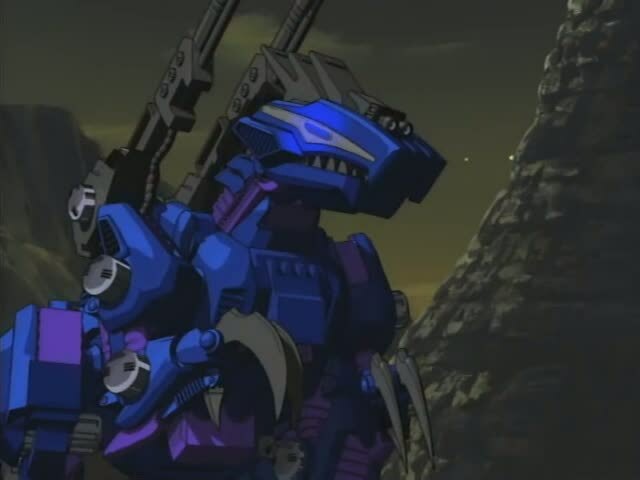 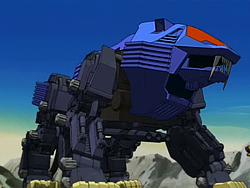 This zoid – the Shadow Fox – is from the sequel series Zoids: New Century Zero. 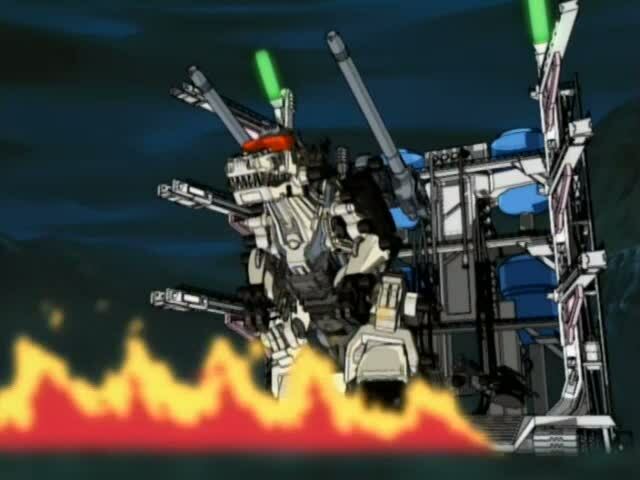 If you can remember a post I wrote a looong way back called “Ready…Fight!”, that article sketched an outline of New Century Zero’s general plot and cast list. 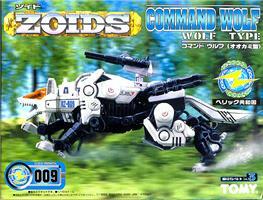 You will also recall that I said New Century Zero is not my favorite Zoids series. 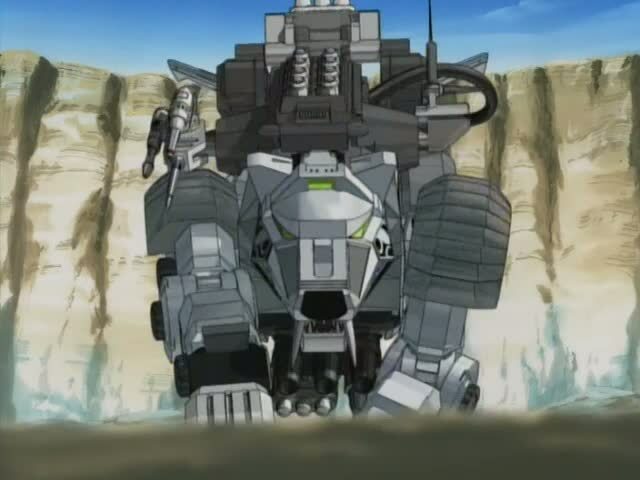 That has not changed, but just because I dislike the series does not mean I do not like the zoids which populate it. 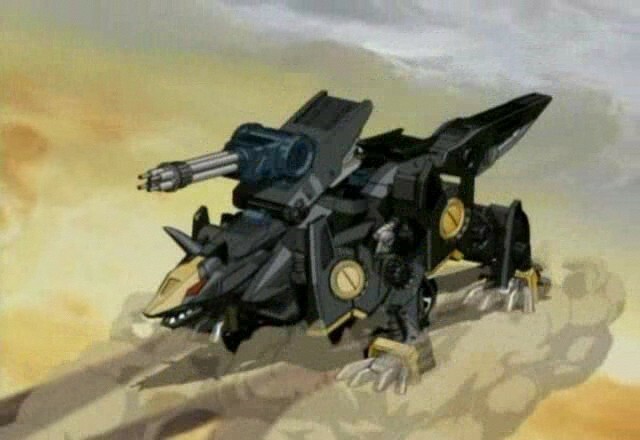 The Shadow Fox was one of the New Century Zero zoids I really liked. 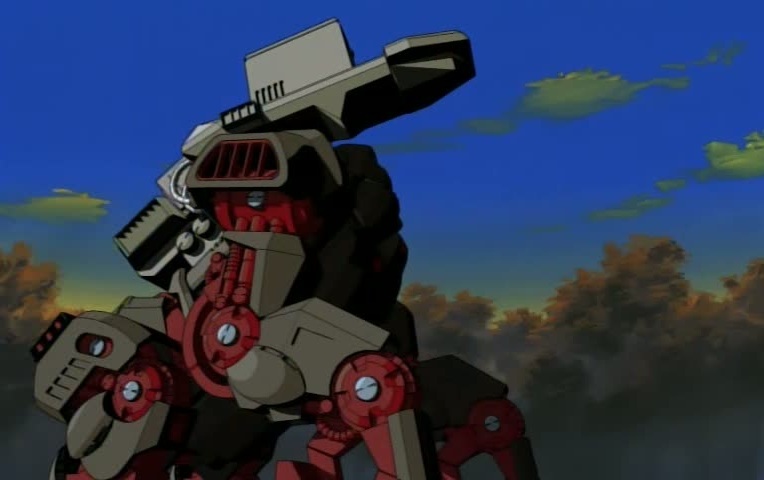 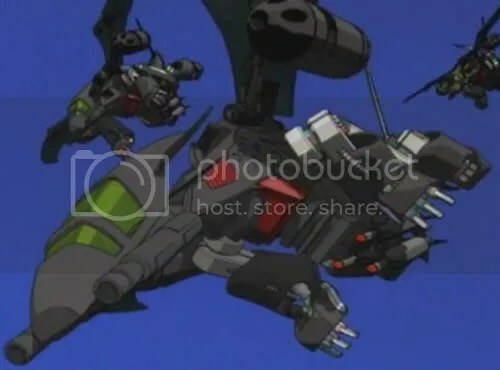 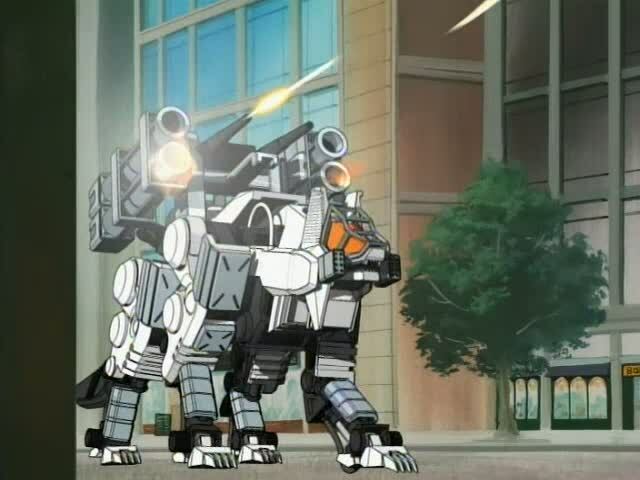 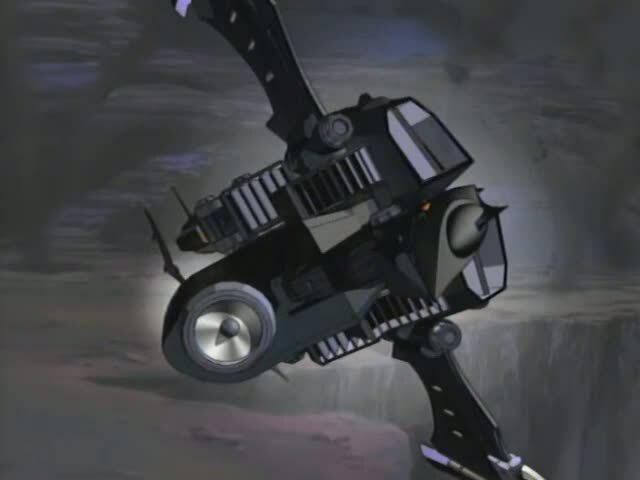 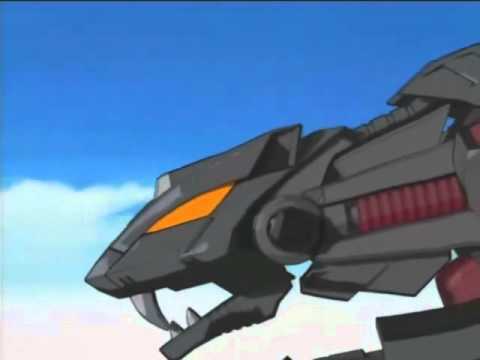 In New Century Zero, the Shadow Fox was a zoid built by the villainous Backdraft Group in order to give them a zoid capable of matching the Liger Zero’s power. 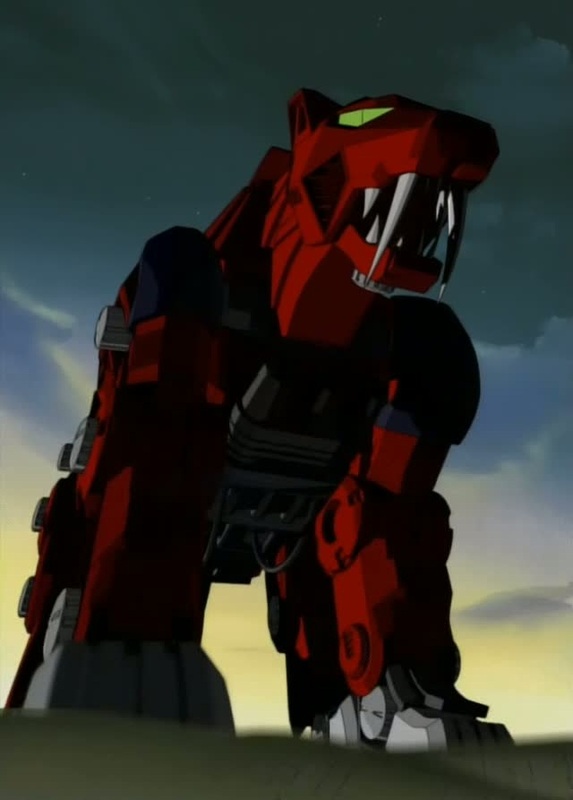 The Backdraft put their best pilots in the Fox’s cockpit, but none of them were able to keep up with the zoid’s immense potential. 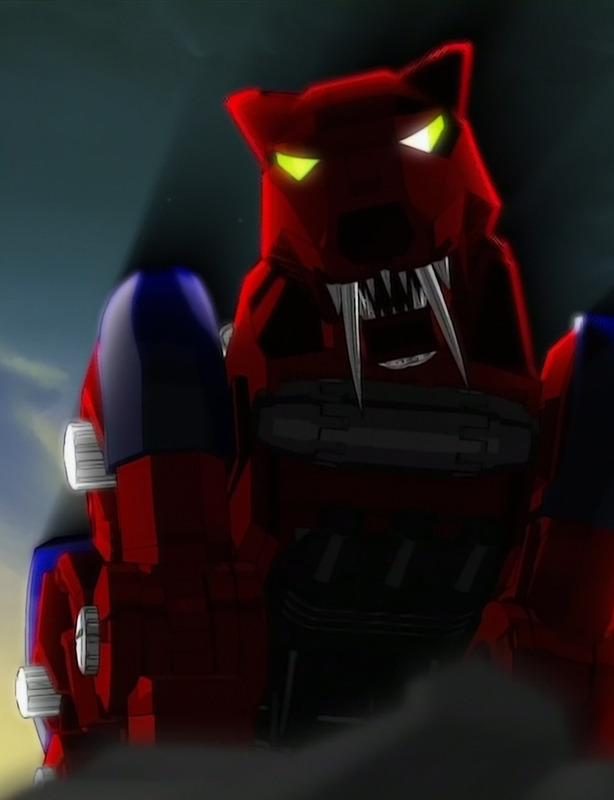 Until Brad Hunter – a member of the Blitz Team and partner to the pilot of the Liger Zero, Bit Cloud – stumbled onto the base where the Backdraft was testing the zoid, the Group thought they would have to wait forever to find someone capable of piloting the Fox. 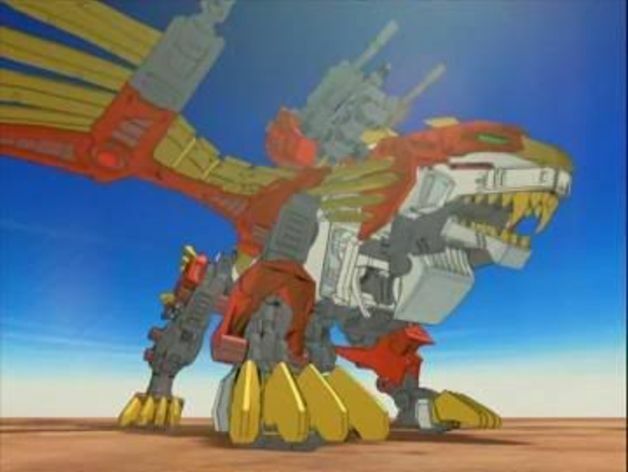 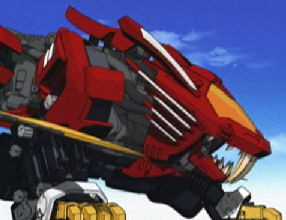 The Shadow Fox is a highly maneuverable zoid, with the cockpit positioned in its head, underneath its orange-red eyes. 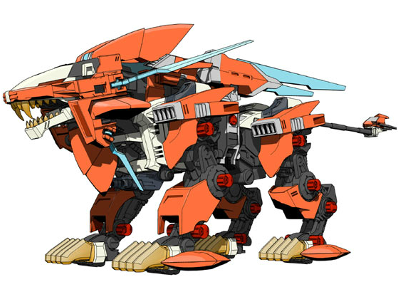 Its speed and agility make it the perfect zoid for pilots who favor close combat or sniping attacks. 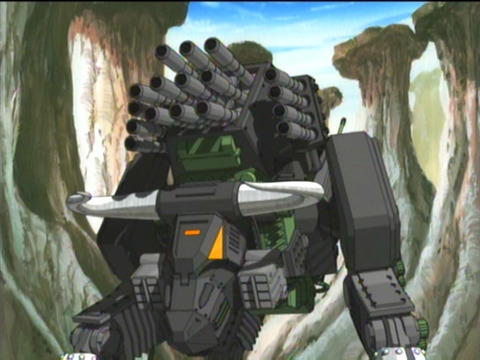 Brad was able to use the machine gun attached to the Fox’s back (see the above photo for details) to take down an opponent’s zoid with one shot. 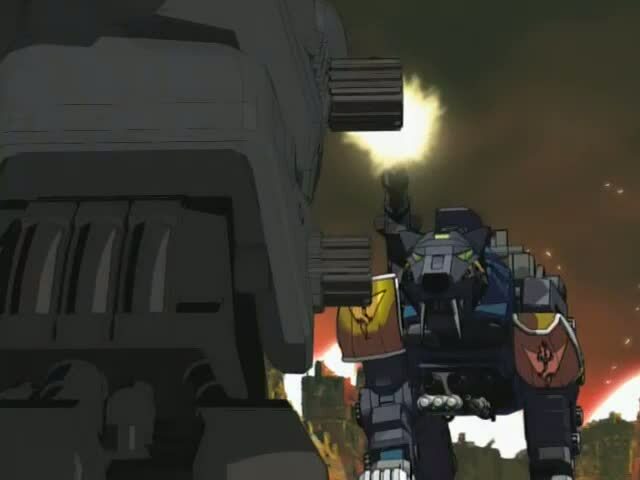 And he was shooting through a metal panel when he did that! 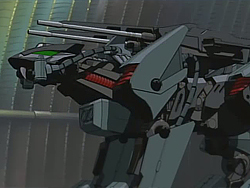 Though he favors sniper battle tactics, Brad has used the machine gun’s full capabilities in battle. 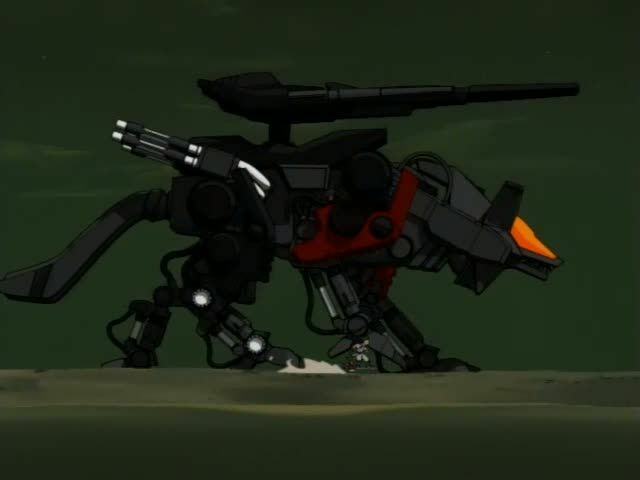 Even when it is not used in close proximity to the Fox’s target, the machine gun can be a very effective weapon. 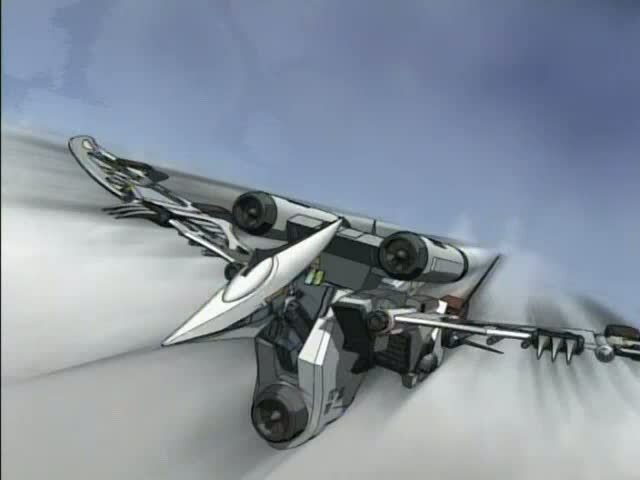 The Fox also comes equipped with smoke vents. 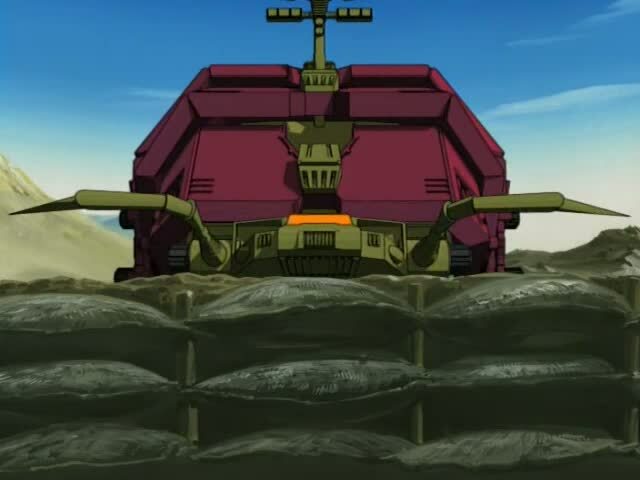 When activated, these vents release clouds of billowing, black smoke, rendering a midday battlefield briefly pitch-dark. 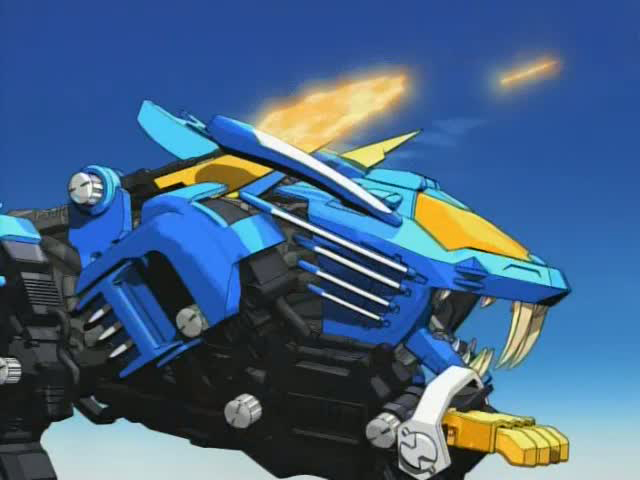 The Fox’s armor blends in perfectly with the smoke, and its muffled joints make the zoid’s movements hard to track. 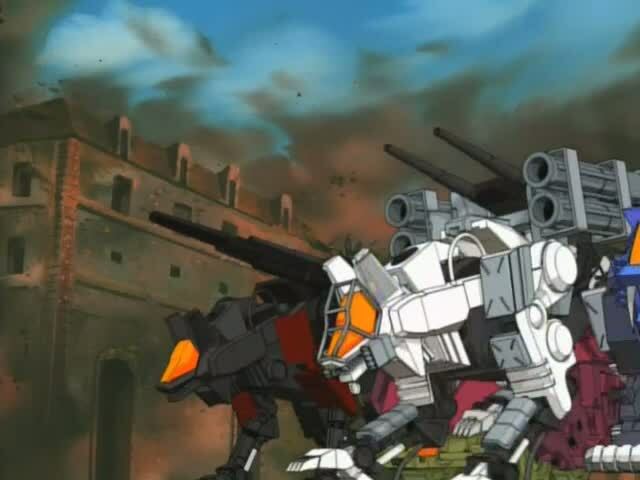 In contrast, an enemy zoid lost in the smoke will stand out like a firework display when its pilot decides to try and shoot at the area where he thinks the Fox is – only to miss and be shot by the Shadow Fox, which was nowhere near the position the enemy pilot believed it was. 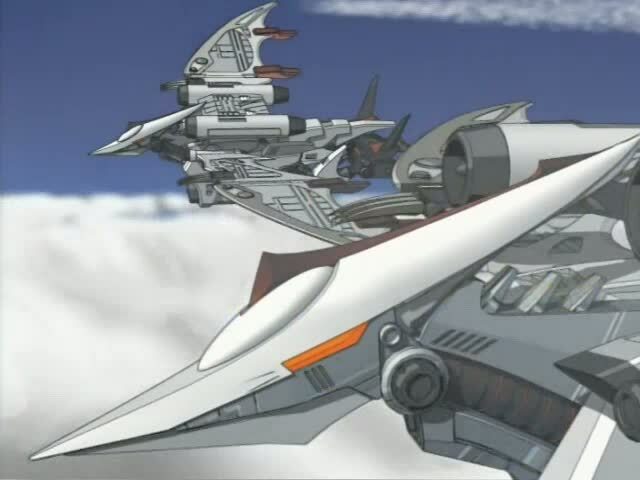 The Shadow Fox’s most devastating weapons, however, are its Strike Laser Claws. 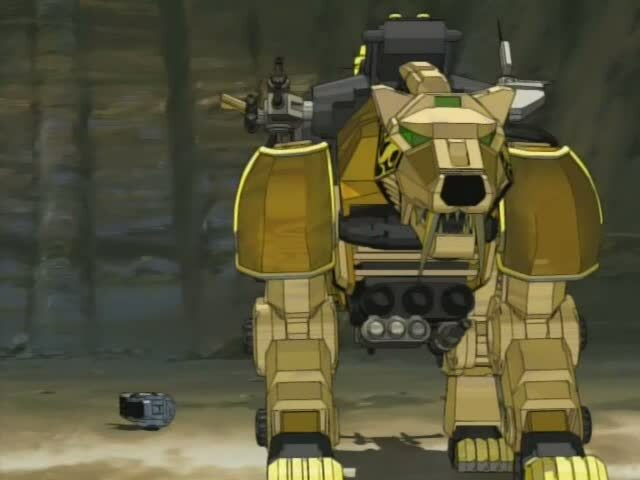 When given the command that doubles as the attack’s name, the Shadow Fox’s forepaws and foreleg joints will begin to glow with yellow light as the zoid charges at an opponent. 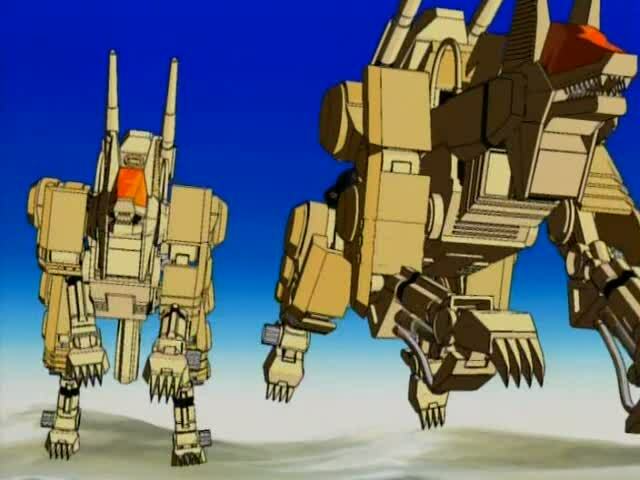 Jumping into the air, the zoid will draw back one foreleg (which foreleg depends on whether or not the pilot is right or left-handed, since a trained zoid only moves in concert with its pilot in a battle), and swipe at the nearest exposed part of the opposing zoid’s body. 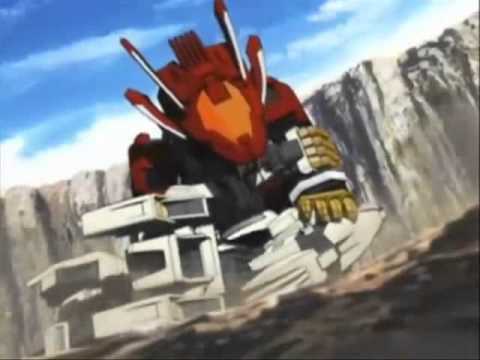 The end result of this attack is devastating for the enemy zoid. 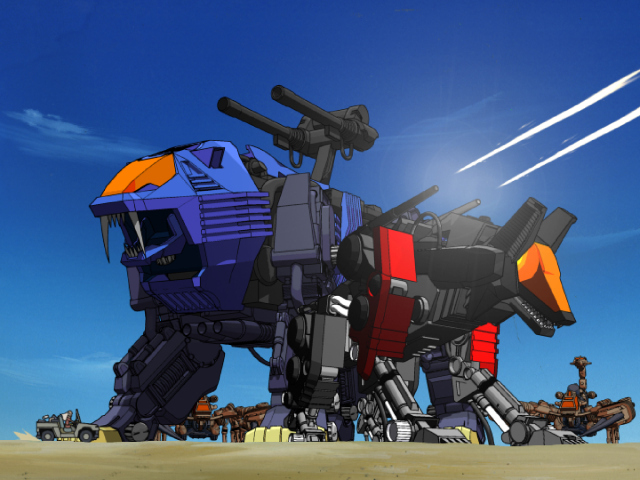 One Strike Laser Claw attack is enough to knock down many different types of zoids immediately. 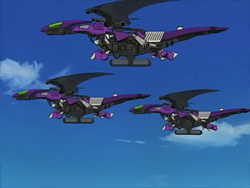 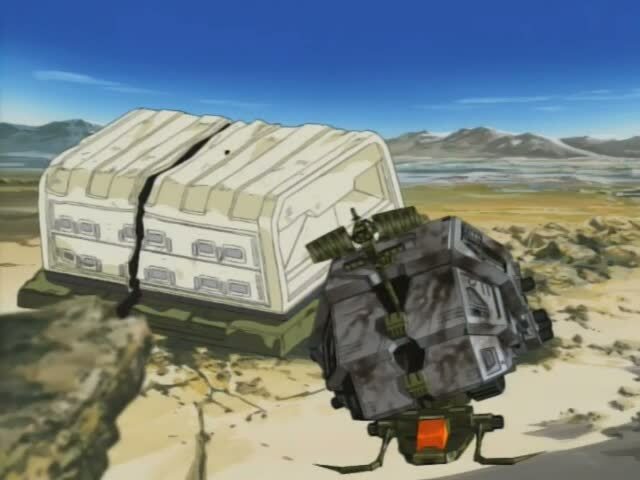 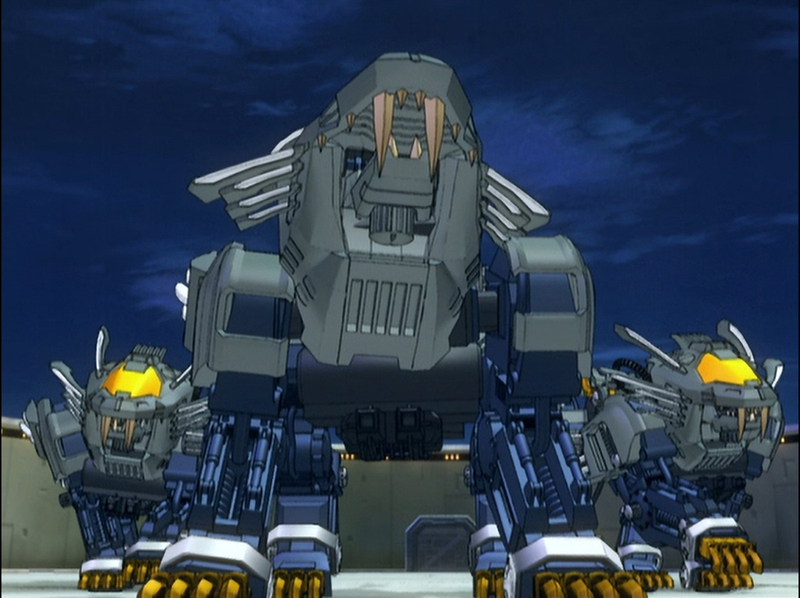 Other, more powerful zoids might not fall simply due to this attack, but the damage done by the Strike cannot and should not be underestimated. 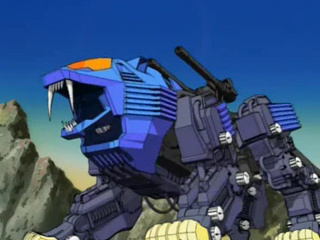 The only other zoid which possesses a Strike Laser Claw attack is the Liger Zero; the Shadow Fox possesses this ability because the Backdraft Group wanted it to match the Liger power to power. 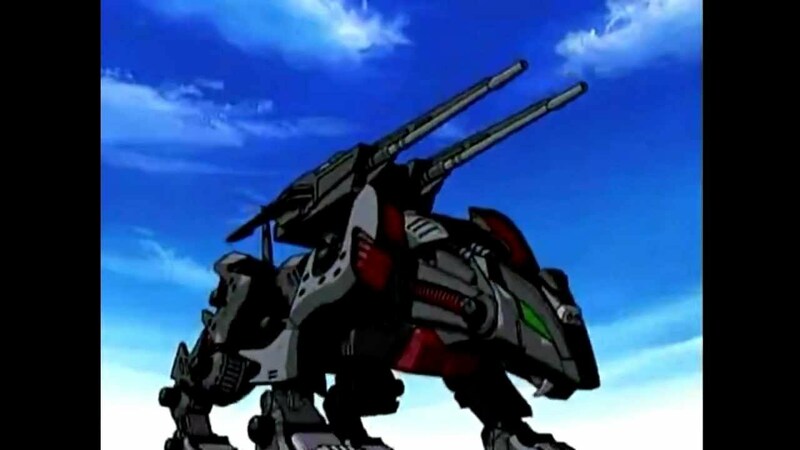 Brad tested this theory before stealing the Shadow Fox from the Group in broad daylight and found that yes; the Shadow Fox can stalemate the Liger Zero’s ultimate move, without even suffering a scratch in the process. 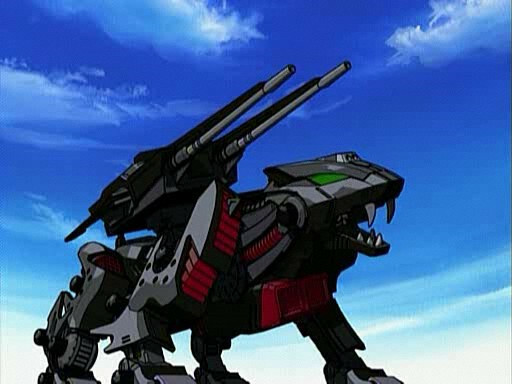 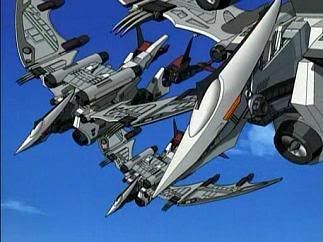 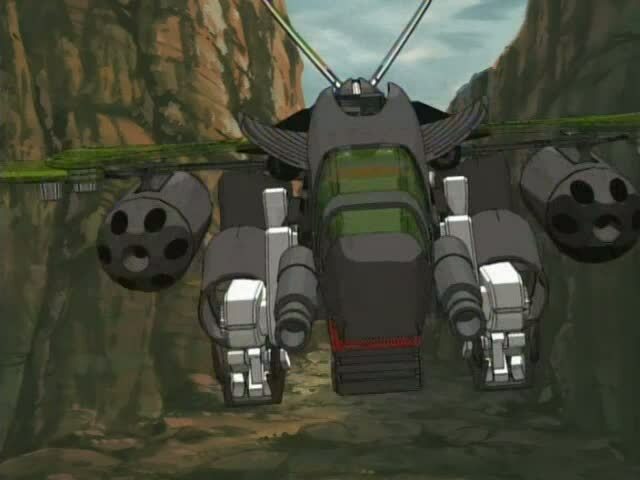 If zoids were real machines/animals and I had the money to collect them, then the Shadow Fox would definitely be one of the zoids I would want to acquire. 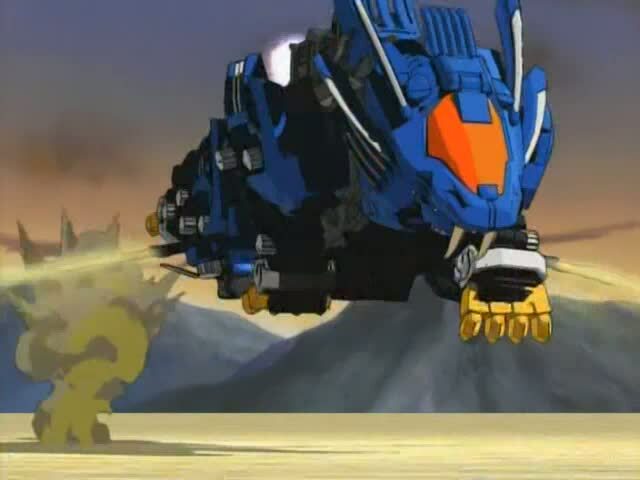 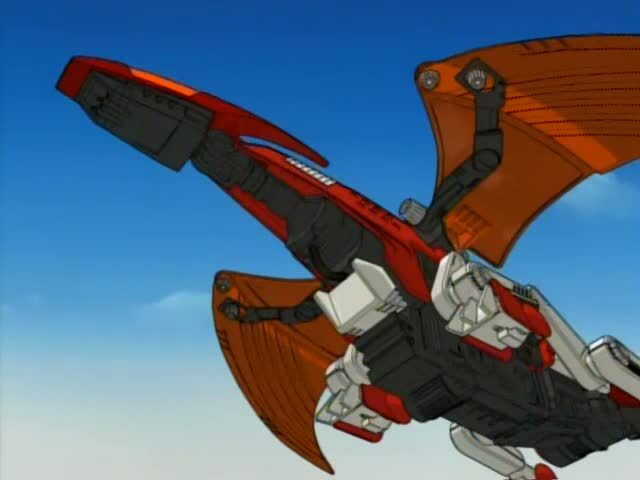 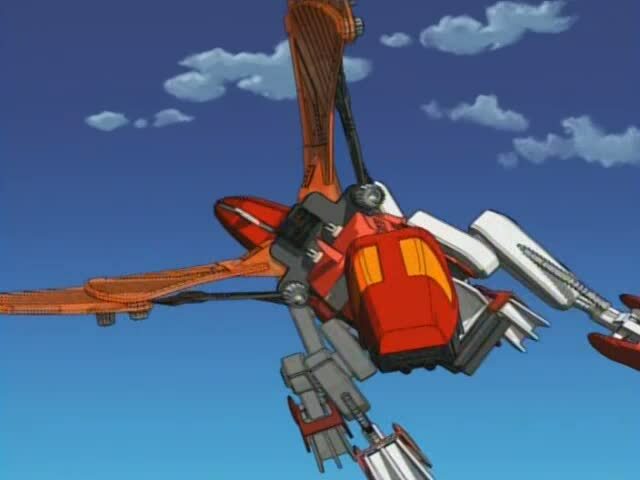 It is no wonder Brad stole the zoid from the Backdraft Group. 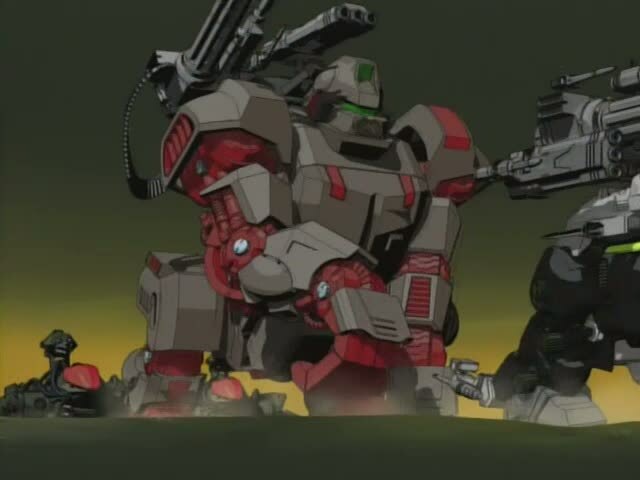 Apart from the fact that they destroyed his Command Wolf and owed him a replacement, the Fox was worth having either way! 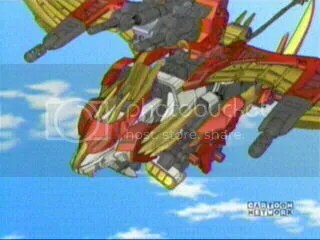 This entry was posted in Spotlight!, TV Shows and tagged Spotlight!, The Shadow Fox, Zoid Battle Commission, Zoids, Zoids: Chaotic Century, Zoids: Fuzors, Zoids: Genesis, Zoids: New Century Zero on February 20, 2015 by The Mithril Guardian.